Long viewed as the “Far West Side”, the new Hudson Yards development contains a surplus of fine amenities, redefining the culture of the previously barren neighborhood. This 28-acre site is distinguished by its abundant square acerage, dedicated to office and residential space, as well as retail, dining and public recreation options. 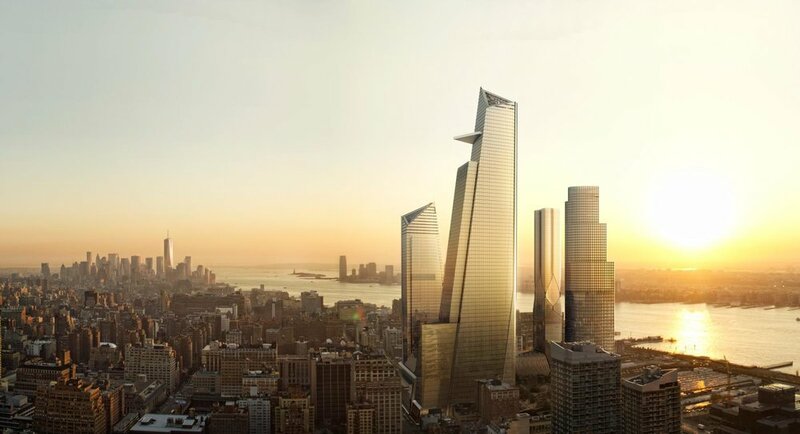 Hudson Yards, the largest development of private real estate in U.S. history, is projected to contain over 4,000 residences within four skyscrapers, amounting to 18 million square feet of office and residential space. With 14 acres of public space, over 100 shops and 25 dining options, Hudson Yards will dominate social living in New York City. With the establishment of the City’s first Neiman Marcus follows a long list of high-end retailers, such as Stewart Weitzman, Tory Burch, Lululemon, Cartier, Van Cleef & Arpels, and Rolex. Over 100 stores are complemented by the wide variety of dining options, with spots showcasing some of the worlds most renowned chefs. Recreational conveniences include a theater, public school, park, hotel and dazzling views from the skyscrapers, providing plenty to do within the development alongside the apartment complexes and office space. With an infinite amount of activity, it’s no surprise that Hudson Yards is expected to be the “new heart of New York City”. The development anticipates millions of visitors per year following its completion, who will experience the liveliness and glamour of the neighborhood, making Hudson Yards a premiere destination in New York City. Interested in Experiencing Hudson Yards Living? Interested in experiencing Hudson Yards living? Our latest listing, 448 West 37th Street #8A, combines the luxurious amenities of the new development with classic loft living. Only a short distance from the plethora of shops and restaurants, Apartment 8A provides a sun-filled space, boasting 12-foot windows, in addition to 1840 square foot expansive layout. In a world where global warming and climate change headlines have gained more and more media presence and the top industrial nations gather to discuss climate, sustainability is a topic that is not only top of mind but one that is here to stay. From corporations to individuals, the movement to live a more environmentally sound and sustainable is a priority for many. The movement towards sustainable living has trickled into the real estate industry in the form of “LEED.” From new developments to existing constructions, LEED certification is a mark representing a degree of sustainability. So, what is LEED and how is New York City getting on the map with one of the highest LEED certified buildings? You may notice when shopping for real estate in New York City, whether a new development, condo, or rental building, a mark stating that the building is LEED Certified – what exactly does this mean? 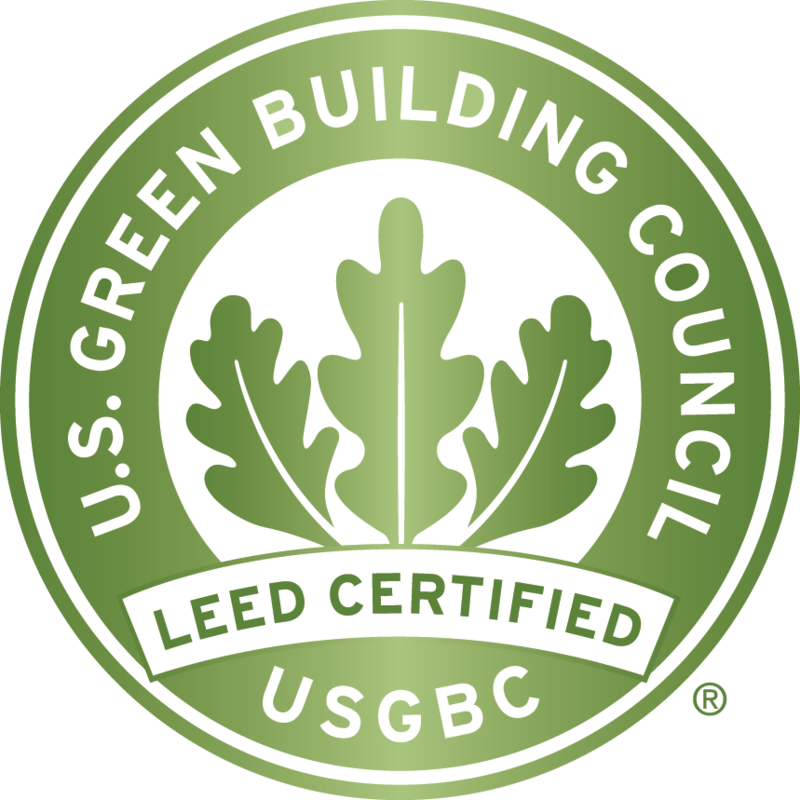 LEED stands for Leadership in Energy and Environmental Design and was devised by the United States Green Building Council. This rating system is the most widely used green building rating system in the world, and the LEED certification is a globally recognized sustainability achievement. The rating system evaluates the environmental performance of a building, and through this process, encourages market transformation. The evaluation looks at things such as materials, water efficiency, and performance such as indoor quality for occupant comfort. Sustainability has been a growing area of interest for developers to appeal to the needs of environmentally conscious consumers. The biggest development project in New York’s history thus far, Hudson Yards, is, in many way, one of the greenest projects as well. Continued progress on the far west side mega project is something to look forward to in2018. 15 Hudson Yards is expected to top out while construction will begin on the 30 Hudson Yards sky observation deck. Landscaping is expected to arrive around the much talked about Vessel. What do we expect from buildings that are surrounded by lush, green parks? Sustainability of course! All buildings within Hudson Yards have been strategically designed in pursuit of the highest levels of certification by LEED. 10 Hudson Yards, the fully rented office building that really put Hudson Yards on the map, is the first commercial office in New York to achieve the coveted Platinum rating from LEED. This is the highest rating available under the program. As one can imagine, the list to achieve this distinguished award is lengthy. Some examples of how 10 Hudson Yards is leading the green initiative include a system for hot and cold water that is twice as efficient as a traditional one and a storm water retention system that is used to water the building’s landscaping. The Platinum status of 10 Hudson Yards shows the commitment of the project to be innovative and forward thinking while establishing it as a model of what great buildings should strive to be. Of course, the Hudson Yards project is not the only LEED certified one in New York. If sustainability is important to you and your next home, we can discuss other buildings that meet the LEED certification requirements. Want to live in a LEED certified building? Please contact us.